WHEELS, 17 (43.2 CM) ALUMINUM (STD), TRANSMISSION, 6-SPEED AUTOMATIC (STD), TIRES, P225/55R17 ALL-SEASON, BLACKWALL (STD), SEATS, FRONT BUCKET (STD), NIGHTFALL GRAY METALLIC, LT PREFERRED EQUIPMENT GROUP Includes Standard Equipment, JET BLACK, PREMIUM CLOTH SEAT TRIM, ENGINE, 1.5L TURBO DOHC 4-CYLINDER DI with Variable Valve Timing (VVT) (160 hp [119.3 kW] @ 5700 rpm, 184 lb-ft torque [248.4 N-m] @ 2500-3000 rpm) (STD), AUDIO SYSTEM, CHEVROLET MYLINK RADIO WITH 7 DIAGONAL COLOR TOUCH-SCREEN, AM/FM STEREO with seek-and-scan and digital clock, includes Bluetooth streaming audio for music and select phones; featuring Android Auto and Apple CarPlay capability for compatible phone (STD), Windows, power with Express-Down on all. This Chevrolet Malibu has a dependable Turbocharged Gas I4 1.5L/91 engine powering this Automatic transmission. *Experience a Fully-Loaded Chevrolet Malibu LT *Window, power with driver Express-Up/Down, Wheels, 17 (43.2 cm) aluminum, Wheel, spare, 16 (40.6 cm) steel, Warning indicator, front passenger safety belt, Visors, driver and front passenger illuminated vanity mirrors, covered, Vent, rear console, Trunk latch, safety, manual release, Transmission, 6-speed automatic, Tool kit, road emergency, Tires, P225/55R17 all-season, blackwall, Tire, compact spare, T125/80R16, Tire pressure monitor system, Theft-deterrent system, content theft alarm, Temperature display, outside, Teen Driver, Suspension, rear 4-link, independent, Suspension, front MacPherson strut, Steering wheel, 3-spoke, Steering wheel controls, mounted controls for audio, phone and cruise, Steering column, tilt and telescopic. *Only The Best Get Recognized*IIHS Top Safety Pick with optional front crash prevention, KBB.com 10 Most Comfortable Cars Under $30,000, KBB.com 10 Best Sedans Under $25,000, KBB.com Best Family Sedans, KBB.com 10 Most Awarded Brands. 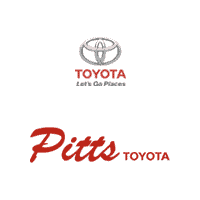 *Stop By Today *You've earned this- stop by Pitts Toyota located at 210 N Jefferson St, Dublin, GA 31021 to make this car yours today!